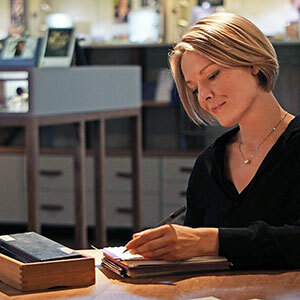 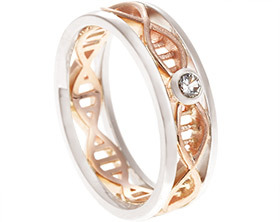 Simon and Jane both worked in the scientific field, so Simon came to us to commission an engagement ring design that would reflect their shared passions. 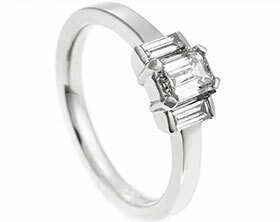 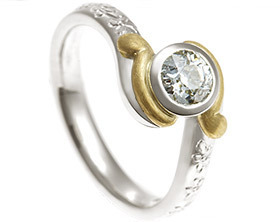 He wanted the engagement ring to be classic in style yet with a slightly mechanical twist to mirror the intermingling of the old with the new in the world of science. 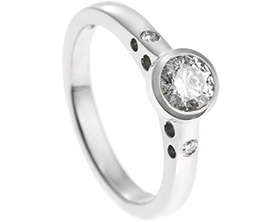 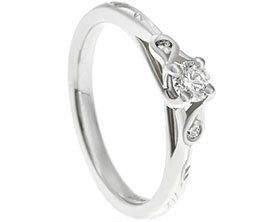 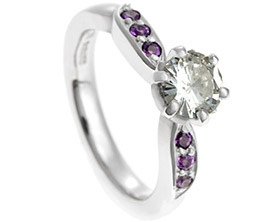 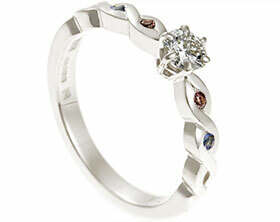 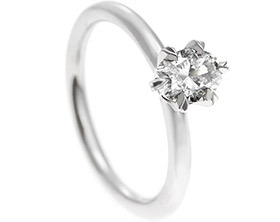 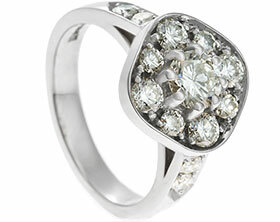 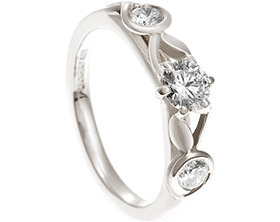 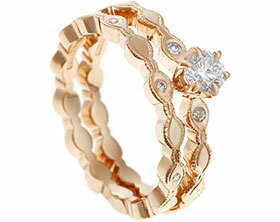 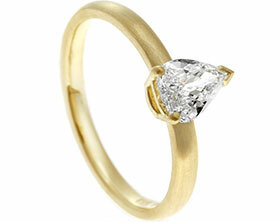 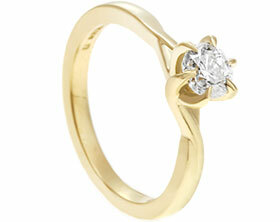 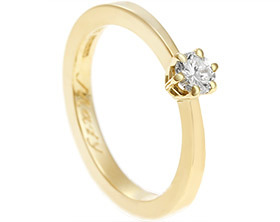 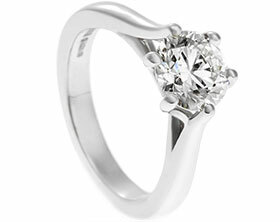 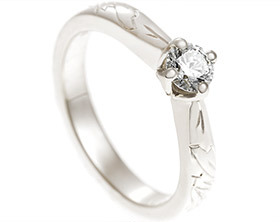 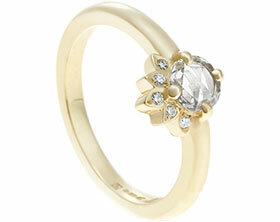 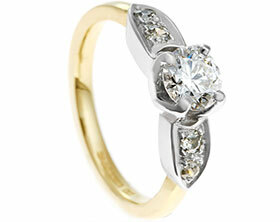 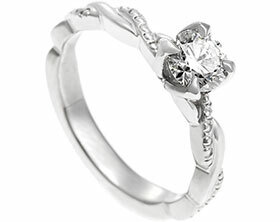 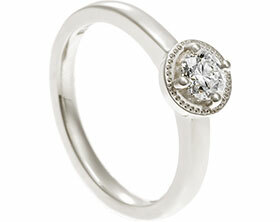 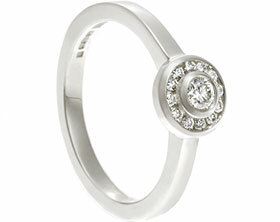 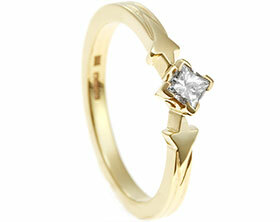 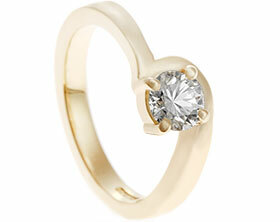 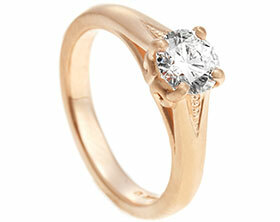 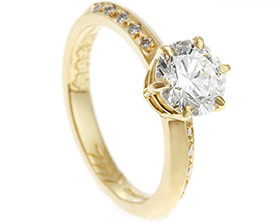 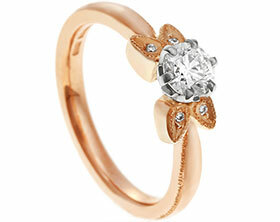 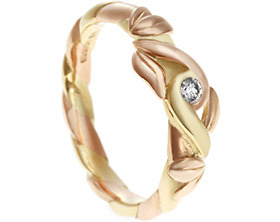 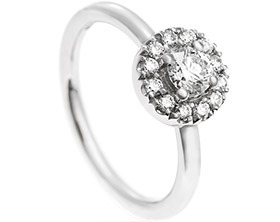 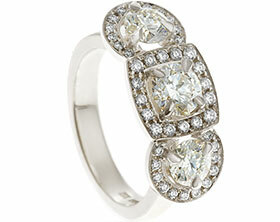 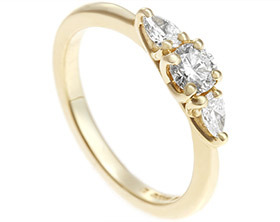 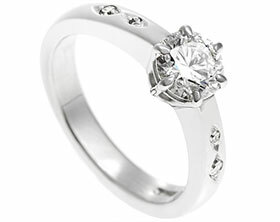 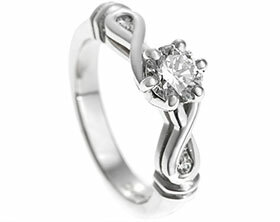 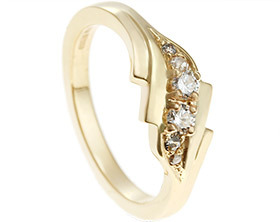 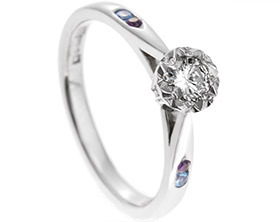 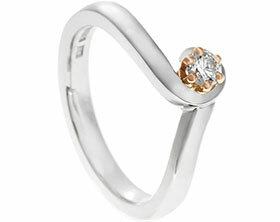 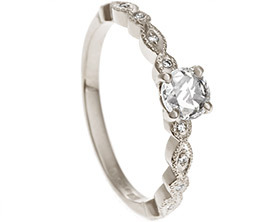 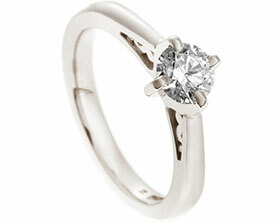 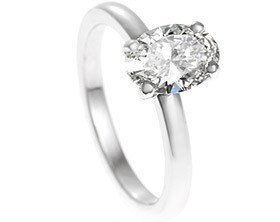 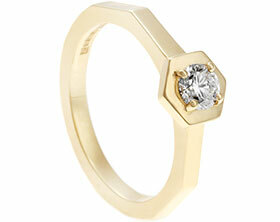 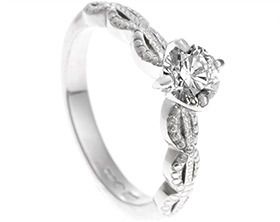 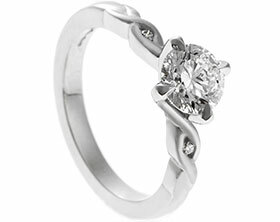 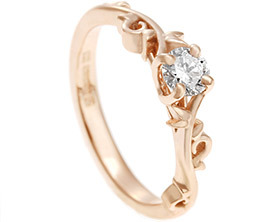 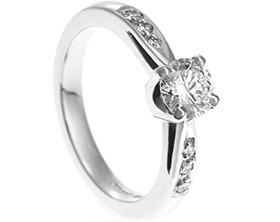 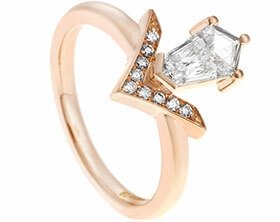 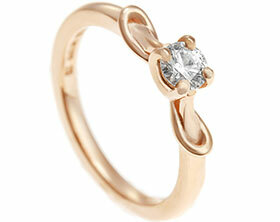 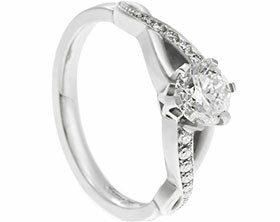 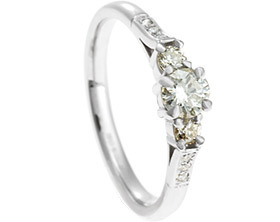 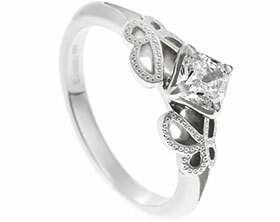 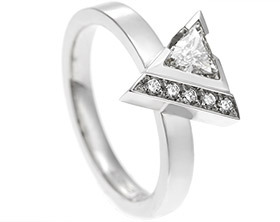 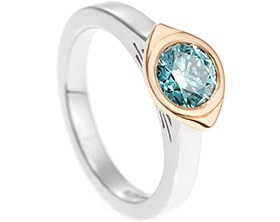 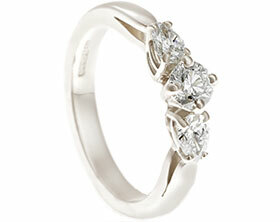 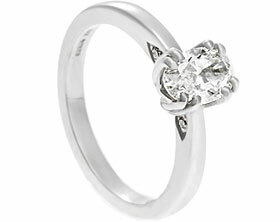 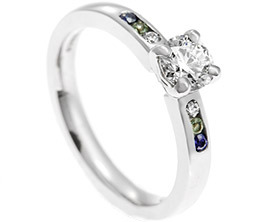 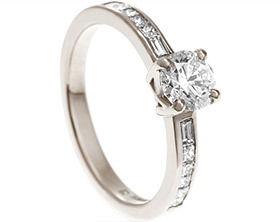 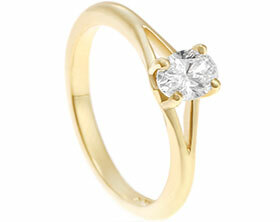 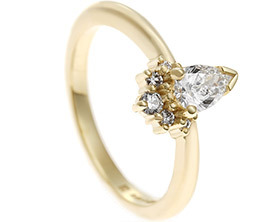 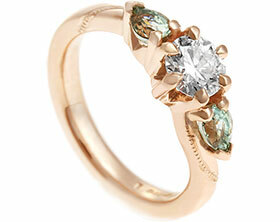 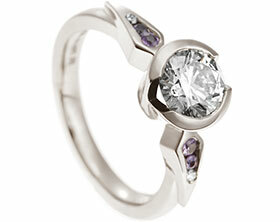 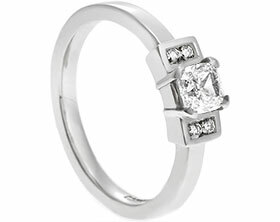 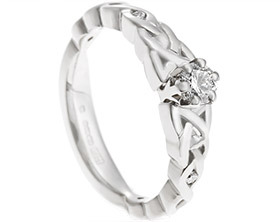 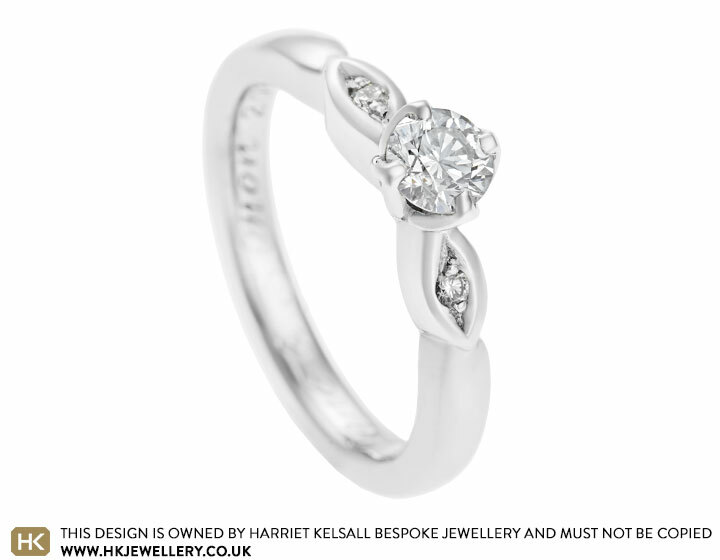 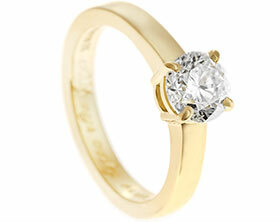 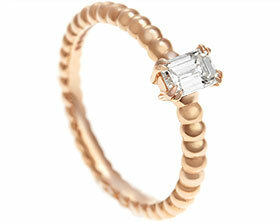 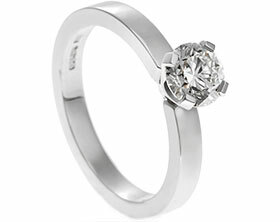 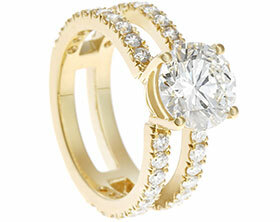 The central focus of the ring is a four claw set 0.31ct G-H VS1-2 brilliant cut diamond. 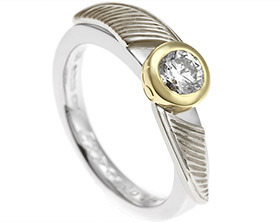 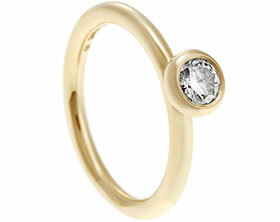 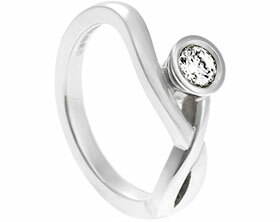 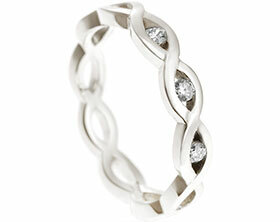 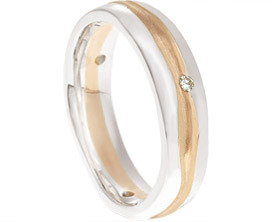 The stone is held in palladium which captures the crisp, modern feel Simon wanted to achieve. 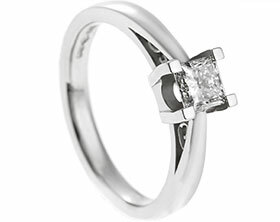 Each shoulder of the ring is adorned with marquise shaped detailing holding grain set diamonds to add subtle extra sparkle.